Le Bistro Pierre is a restaurant located in Nottingham, U.K. 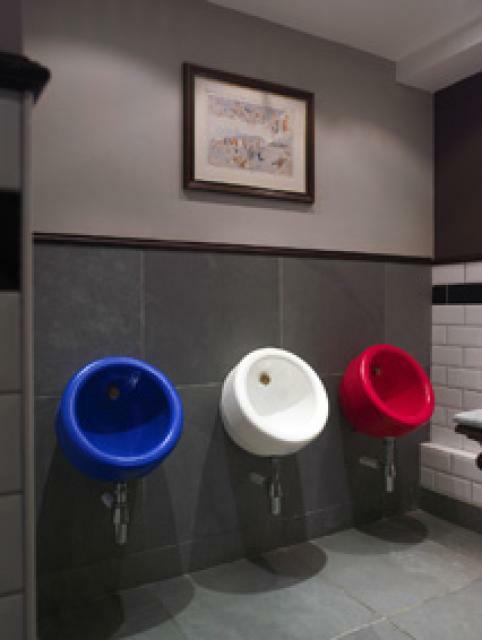 These unique urinals are called "Gloo", they are manufactured by Philip Watts Design, a "creative design and build company" based in Nottingham, U.K. This second image illustrates the Gloo model's ability to light up. 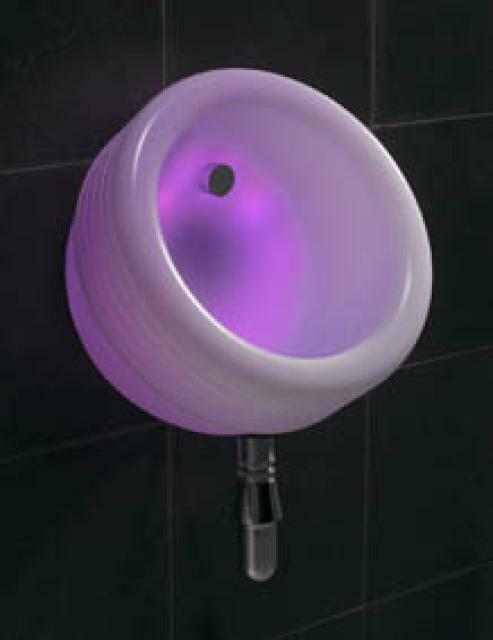 It is called "Illuminating Gloo" (available for sale at www.philipwattsdesign.com/cat-12-subcat-22-product-247). This photo comes from the same location.